As all of your fun seeking spring breakers converge on Cozumel this year for your Spring Break in Cozumel we wanted to take a chance and talk about a couple of great Cozumel tours and places to hit up for some great Cozumel Spring Break fun! Its not all about drinking but hey let’s be honest here it does mean a lot of drinking meaning looking great bars and Cozumel Tequila Tours. Here are some great Cozumel Tequila Tours and Cozumel Bars. 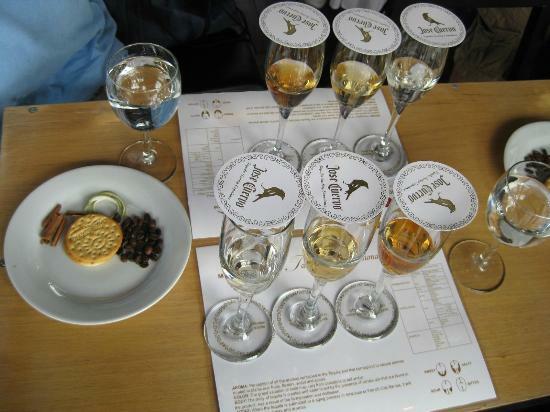 This Cozumel Tequila tour is obviously a little different as we are talking about true premium tequila tasting. Most Tequileras here in Cozumel are outdoors and are constantly pushing to try and get you to buy buy buy, not just their tequila but their other souvenirs as well. While we do have plenty of Souvenirs and Tequilas that are available for purchase we won’t pester you to buy them. one of the best things and something that definitely sets us apart from other Tequileras in Cozumel that we will treat you like royalty while you participate in this educational and fun Premium Cozumel Tequila Tour. If you have been to wine tastings well this is the Tequila version of that and it will definitely be a unique experience for you during your Spring break in Cozumel! So come try a Tequila Tour in Cozumel that you will not forget! Now if you are on spring break and you want to have some food and party a little bit at the same time then Jimmy Buffet’s Margaritaville is defintely a must for Spring Breakers! Lunch gets even more fun when the DJ and staff start doing different games as well. Whats great about Margaritaville is that the food is great and the have plenty of big screens and plasma TVs so that you can keep up with your favorite College teams during March Madness. There are plenty of other great things to do at Margaritaville as they have snorkel gear available for everybody as well as their water trampolines, giant floating icebergs and more! Margaritaville is definitely a hot spring break spot! Now the other tours are not all about the drinking as there is plenty more to go along with the other places and tours that we mentioned, but this tour is definitely a bigger part of the tour but its not only about drinking and going to bars. 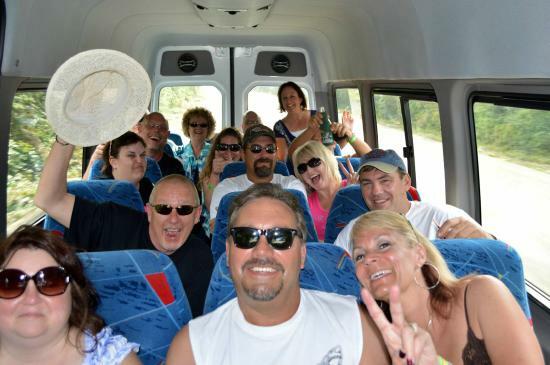 The Cozumel Bar Hop tour is definitely a great way to get to know new people and to get away from the tourist part of the island and over to the east side of the island. This tour starts off from in town and goes straight over to the other side of the island visiting Punta Morena, Coconuts bar (Coconuts is definitely a stop for spring breakers! ), followed by a visit to Playa Bonita Restaurant & Bar and finally Rastas Bar for a great time! Well there are a few more great Things to do in Cozumel for you spring breakers visiting the island this month and we have plenty more Cozumel Travel tips too so let us know if there is something in particular that you would like to know about while travelling in Cozumel or even something that you think would be good for others to know and we may even blog about it so until next hasta luego y nos vemos! This entry was posted in Cozumel Travel Tips and tagged Cozumel, Cozumel Activities, Cozumel beaches, Cozumel Concept Park, Cozumel Concept theme park, Cozumel Cruise Excursions, Cozumel Excursions, Cozumel Family Activities, Cozumel Mexico, Cozumel Spring Break, Cozumel Tequila, Cozumel Tequila Tasting, Cozumel Tequila Tasting tours, Cozumel Tequila Tours, Cozumel Travel Tips, Cozumel Vacation, Discover Mexico Cozumel, Premium Cozumel Tequila Tours, Riviera Maya, Spring Break in Cozumel, Things to do in Cozumel on March 16, 2015 by discovermex.